UK's TAG Farnborough Airport has once again launched its annual TAG Flying Scholarship, which will provide training towards a Private Pilot’s Licence (PPL). The TAG Flying Scholarship is part of the airport’s “Aviation to Education” programme. Now in its 11th year, the programme engages schools and colleges within the local area to inform and educate about aviation. Each year, under the auspices of the Honourable Company of Air Pilots’ scholarship programme, TAG Farnborough Airport grants one young person a scholarship with the aim of supporting individuals who might otherwise not have the necessary resources to gain flying experience and ultimately achieve their PPL. Over the past decade, scholarship recipients have progressed to a variety of professional roles within the aviation industry such as commercial airline pilot. 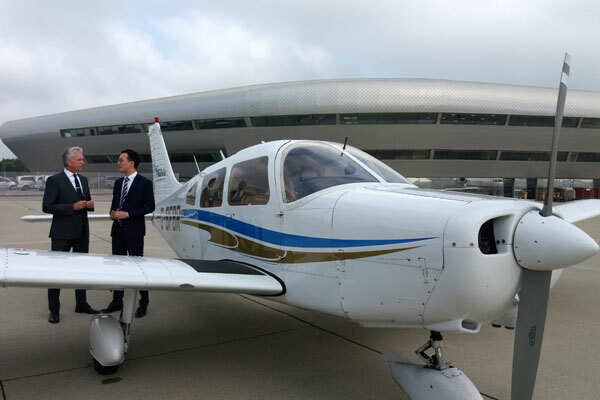 Last year’s winner, Leo Tang, was able to undergo flight training at Phoenix Aviation’s base in Lee-on-the-Solent and was successful in gaining his PPL in Autumn 2017. Tang said: "I would like to thank TAG Farnborough Airport for providing me with this fantastic opportunity. My ultimate goal has always been to pursue a career within the aviation industry, to become a professional pilot and qualify as a flying instructor, allowing me to pass on my skills to the next generation of young flying enthusiasts. The support of the Flying Scholarship has been invaluable, allowing me to make my dreams a reality."